How inappropriate is it to note the end of a TV show instead of the first anniversary of the passing of my former friend and colleague, Kevin Towers? Well, I guess I’ve done both. The last original episode of FantomWorks airs tonight on Motor Trend. FantomWorks is the name of the largest car restoration shop in the US, located in Norfolk, Virginia. It is owned and operated by a former serviceman, Dan Short. I am quite sad that the show will no longer be produced as I have grown to like it very much. Where else can you see a 1937 Volvo and a 1963 Studebaker Gran Turismo Hawk in addition to the usual parade of Corvettes and Mustangs? Dan Short seems to be very passionate about automobiles and seems to be genuinely concerned for the safety of his customers. Obviously, it’s a TV show and not a hard documentary so I assume some fudging occurs, but the show is very enjoyable. Kind of ironic, no? I wonder if a new image will soon appear at the top of their Facebook page. Driving and working on cars is a hands-on, visceral experience. Reading and writing is not. I have always wondered about how a somewhat academic approach to cars, like writing a blog, can resonate with car enthusiasts. Pro football is, by far, the most popular sport in America. However, when it comes to selling books, baseball and golf titles sell better. Take it from someone who has had three sports books published. I think the disconnect is similar to that which I think applies to car enthusiasts reading about cars instead of driving them and working on them. If you hadn’t guessed by now—and if not you’re probably not paying attention—I am a “cerebral” person. Reading, learning and solving problems primarily by thought has basically been my life. I am a pioneer in the application of analytics to professional sports (a father of “Moneyball”), but I have never played any sport in an organized league. (https://disaffectedmusings.com/about/) I wrote a book about football that the Wall Street Journal called without a doubt the best book of its kind ever written, but it didn’t sell that many copies. I think theory and application both have their place in the world. One would be amazed how many people do not share that view. Besides noting that two of the top four selling makes and three of the top six from fifty years ago (1969) are no longer produced, 1969 also marked the last use of the name Rambler on a car. The Rambler name first appeared on an automobile in 1902. Picture from barnfinds.com. The 1969 SC/Rambler (Scrambler, get it?) was a limited production model sold to people who wanted a 14-second quarter mile car right off the showroom floor. For 1969 that was very high performance. Only 1,512 were made. 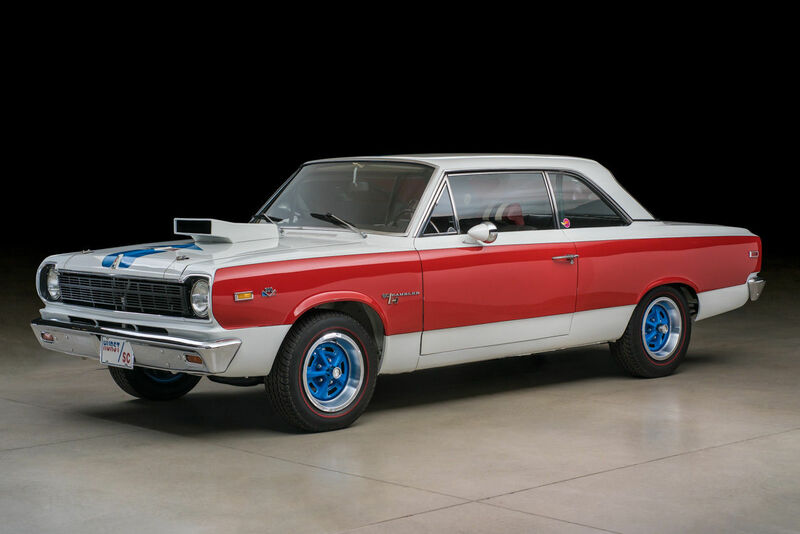 Except for the paint job the SC/Rambler was really a bare bones car designed to go fast in a straight line. The 390 cubic-inch V-8 that powered the car produced 315 HP (some think that was understated by AMC) and 425 LB-FT of torque in a car that only weighed about 3,200 pounds. This is the “About” page on this blog. The page accounts for less than one percent of page views so I thought I would show some of it as part of the “Patting Myself On The Back” series. Even though this fact has glanced off the collective skull of the world I am a pioneer in the application of analytics to professional sports, one of the fathers of “Moneyball.” I was also a mentor to baseball’s “golden boy,” another fact that has slipped through the cracks. Perception is reality even if it isn’t. However, the reality is that America is drowning in credential-ism and age discrimination. By the way, I sent the link to the About page to Michael Lewis after I added the photo. He replied (“Thanks for sending.”), but as far as I can tell he has not clicked on the link. One would never know from reading Moneyball that I was working for the A’s as a consultant while Lewis was writing the book. I worked for the A’s as a baseball operations/player personnel consultant for ten years. No doubt, some of you think it is an exercise in self pity and/or arrogance that I occasionally tout my accomplishments. I can assure you that everything I write about my life is true. It is the truth that I was using analytics to evaluate players for a major league team in a full-time job 15 years before Moneyball was published. It is true that in the third edition of Total Baseball I was called the “statistical analyst that has risen the highest and had the most influence.” That edition was published before I became Director of Baseball Operations for a major league team. I have very good reason to be a disaffected man. That’s my story and I’m sticking to it. This is a 2018 Aston Martin Vanquish Zagato currently offered for sale on BringATrailer.com. It seems odd to me that such a car, and such a new car, would already be offered for sale via auction. If you’re interested the current high bid is $665,000 and about six hours remain in the auction. By the way, the exterior color is called Divine Red. Of course it is. Please feel free to post comments and/or make suggestions about post topics. Thanks. 1937 Cord 1956 Buick Century 1965 Buick Riviera 1965 Corvette 1966 Corvette 1967 Chevrolet Corvette 1967 Pontiac GTO 2016 Chevrolet Corvette Z06 2019 Corvette ZR1 Americans don't save Barrett-Jackson Bill James Bill Stephens BMW Z4 Bring a Trailer Buick Reatta Buick Y-Job C4 Corvette C8 Corvette Cadillac Allante Cadillac XLR Carpe Diem! Corvette! Cristy Lee defunct American car makes DeSoto De Tomaso Longchamp Frank Robinson Frugal Friday ignorance is not bliss It's A Sickness Jaguar E-Type Jaguar F-Type Kevin Towers Mecum Auto Auctions Mega Millions My 2016 Corvette Z06! my wonderful wife Nissan GT-R Patrick Mahomes restomod C2 Corvette restomods Saturn Sky say no to ideology Steve Magnante Studebaker Studebaker GT Hawk Throwback Thursday Ultimate Garage What Car Is This?